Amid the 50-point market selloff Monday, Allergan provided a bright spot Monday, Sept. 25., as did Target and Under Armour. We'll leave the tech selloff at the hand of Apple Inc. (AAPL - Get Report) and the geopolitical tensions, that horse has been beaten today. Amid the 50-point market selloff Monday, Allergan plc (AGN - Get Report) provided a bright spot as the company said it would buy back about $2 billion worth of stock, increase guidance for the 2018 fiscal year and that it would increase its dividend. While we normally poo-poo share buybacks as a poor use of capital, the move seemed to be a positive for beleaguered Allergan, which has struggled with a large debt load over the past two years. Share buybacks often mean that the stock is cheap in management's eyes, and this large repurchase program represents a strong vote of confidence that the stock has been oversold. At the same time, the move also signals that Allergan will be on the sidelines when it comes to large scale M&A, a move that shareholders will likely welcome as the company has vowed to pare nearly $4 billion in debt in the coming 12 months. Target Corp. (TGT - Get Report) provided a rare positive news nugget for the retail industry as the company announced it would raise minimum wage for its employees to $11 per hour from $10. While it may seem counterintuitive to an industry that is bleeding money, Target's decision is actually a positive for the company, especially as it maintained guidance for 2018. As a result, it has kept employee turnover low and that lack of churn has been a benefit to its bottom line. Walmart Stores Inc. (WMT - Get Report) says up to one-third of costs are attributed to training new employees, Jim Cramer noted. Under Armour Inc. (UAA - Get Report) saw shares rise after analysts at Keybanc upgraded its rating to overweight from sector weight with a $20 price target. Upgrades aside, the company just released its latest version of the Stephen Curry signature sneaker, and, they aren't hideous. It's not everyday there's a big release -- and potential boon for a company -- that has lost its "cool factor" since the release of the Curry 3 sneaker last season. President Trump made few allies this weekend when he demanded, via Twitter, that National Football League owners "fire or suspend" players who kneel during the national anthem. The comments from Trump are not the first time he has attempted to take on the NFL. 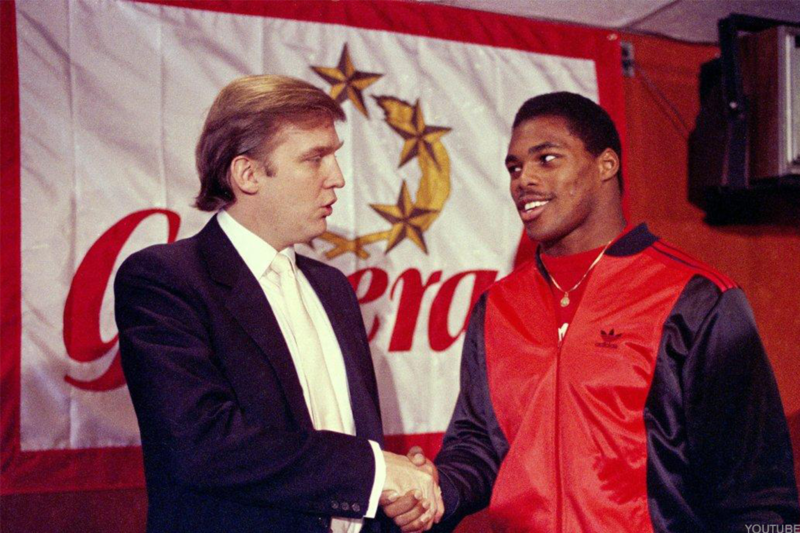 In 1984 Trump purchased the New Jersey Generals, part of the newly formed United States Football League. The USFL was supposed to be a complement to the NFL and play games in the spring leaving the fall and winter months open for the NFL. But Trump pushed hard to shift the USFL to a fall schedule to compete directly with the NFL. The move would prove to be the demise of the league, which, despite signing marquee players like 1982 Heisman Trophy winner Herschel Walker, only lasted three short seasons. Trump's comments this weekend did little to curb viewership of the NFL. CBS Corp. (CBS - Get Report) said overall game ratings Sunday were 4% higher than for Week 3 a year ago. The 10 Most Expensive Zip Codes to Live in the U.S.